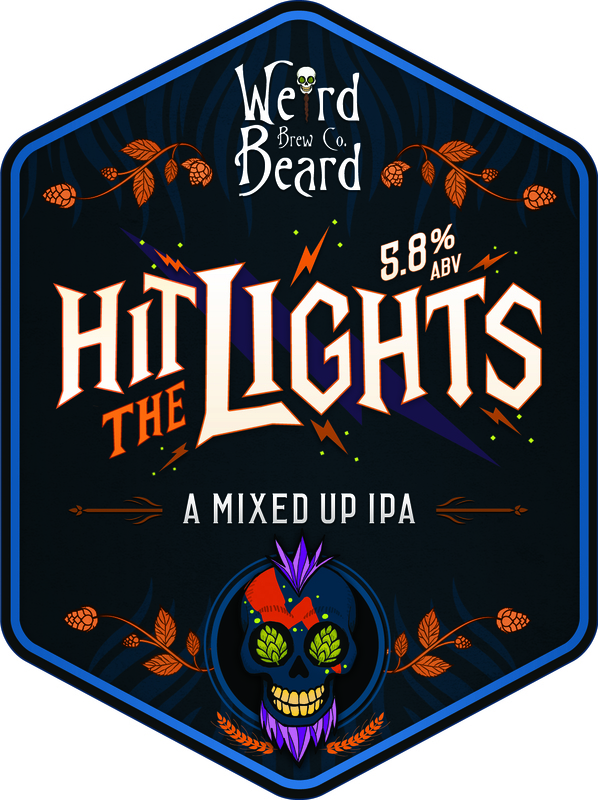 Now, if you cast your mind back to early march, and the release of batch 0002 you will remember a beer called Miss The Lights.This was the first attempt at brewing Hit The Lights, but not all went to plan. We decided we liked what came out, and released it. It went down very well in bottles, but completely flopped in cask and keg. But this time round we done things right. The brewday went without a hitch, with the beer happily in the FV earlier than any brewday yet. I say it went without hitch, we do have a slight problem with this beer, but that is more recipe driven than an actually problem. This is a 'hop burst' style IPA, meaning there are no early bittering hops, all the hops, and there are a lot of them, are chucked in in the last 20 minutes of the boil. This unfortunately means this beer is prone to boil overs, as there are no oils to keep it at bay. We may consider chucking a minimal amount of hops in at the start, just to save ourselves some cleaning. Expect orange on the nose, with more orange citrus, mango and maybe even some peach in the taste. 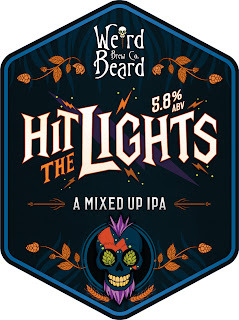 Available in cask, keg and 500ml bottles. Why not grab one and have it alongside a Miss The Lights and let us know which you prefer.